This Thursday we have a Tuva-Luv from Maddie! Some of her store favorites are the wire hanging pendant lamps! Classic and distinctive, these wire pendant lights will bring to life a passion for all things architectural and time worn. These airy pendant lights look beautiful as focal point lighting, grouped over a counter or table or use individually to draw attention to a nook. Take your choice form the three different styles or get them all to complete the look! Get a closer look at the wire hanging pendant lamps on the Tuvalu Home web store! See all of our Tuva-Luvs and more coastal home decor on the Tuva-Luvs page. It’s Monday and without any further waiting, here are your Monday Pins! This week we’ve gathered coastal kitchen pins. 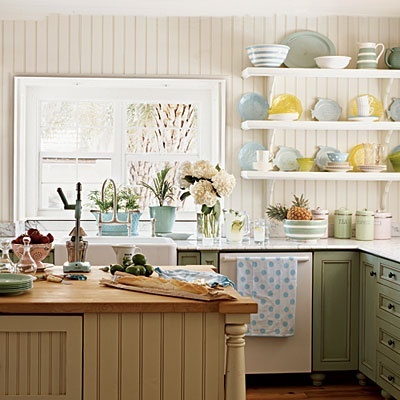 We found everything from coastal cottage kitchens to kitchens with modern coastal influence and a couple styles mixed in-between. Needless to say, there’s something for every coastal decor lover to enjoy and pin to one of their Pinterest boards. So ladies and gentlemen, get those pin buttons ready and pin these to your boards! Enjoy your week and have a good day! If you want to see more coastal kitchens and coastal decor regularly, head over to the Tuvalu Home Pinterest and give us a follow! This week’s Thursday Tuva-Luv comes from our fearless leader and founder Laurie! One of her Tuvalu Home store favorites is the Hobie: Master of Water, Wind & Waves book! This book covers how Hobie, the man and the brand, created an empire of surfboards, catamarans, monohull sailboats, powered craft, radio-controlled model gliders, apparel, sunglasses and so much more! It’s a great book for the coffee table and one to definitely add to the collection! Get a closer look at the Hobie: Master of Water, Wind & Waves book on the Tuvalu Home online store! Take advantage of your bookshelf! Use it as a creative way to not only display coastal accessories, but books as well. It’s nothing new that books can be used as decor. A well placed coffee table book can lend a great decorative hand to a coastal living room. That doesn’t mean a well thought out and designed bookshelf can’t do the same. The days of boring books on your bookshelf are over! There’s no reason you shouldn’t take advantage of that prime design space. 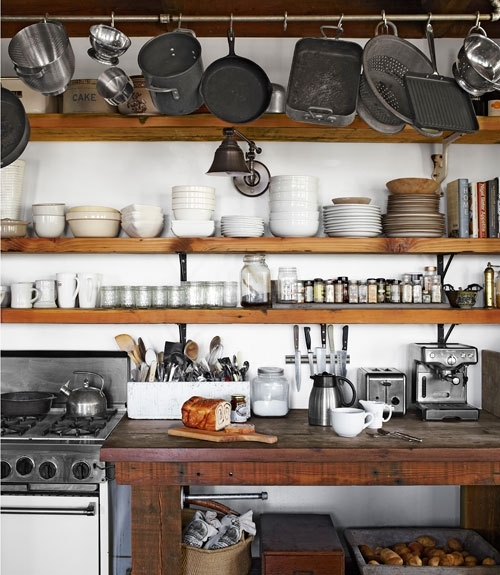 Bring style with the books by placing them vertical or laying them horizontal to mix up the look on the shelf. Lean books to give your bookshelf a break from the routine too. You can even plan out your bookshelf and take it a step further by creating a color scheme throughout the shelf (pictured below). 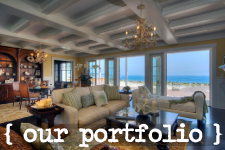 Have fun and be creative with the space you have in your coastal home. If you look at your bookshelf and inspiration isn’t sparking creative ideas then look at these photos. See what these designers have done and how they have decorated these bookshelves. Get inspired and create a stunning coastal bookshelf you can be proud of! Designing for kids is always a blast! You get to decorate with all the fun and playful options that you normally don’t get to. Dust off that crazy imagination and get ready to collaborate with the most fun clients around – kids. The excitement that comes from them participating in the design of their new space is what it’s all about. Let’s take a look a few rooms to get you in the right design space and bring out your inner child! Colors, color, colors! You have an endless color options and palettes to work with when it comes to kids’ bedrooms. No color is off limits. Not all designers want to stray too far from the overall style and feel of the home’s decor which means they won’t go too crazy with the colors. And others will let the kids pick out their favorite colors and go wild! It’s a great way to get the kids involved and creates a fun environment for them to be themselves. You don’t want them waking up in a dark, gloomy space do you? No way! So bring out the colors! Looking to bring a little color to the kid’s bedroom, but not wanting to go all out? Then colored accents are your new best friends! 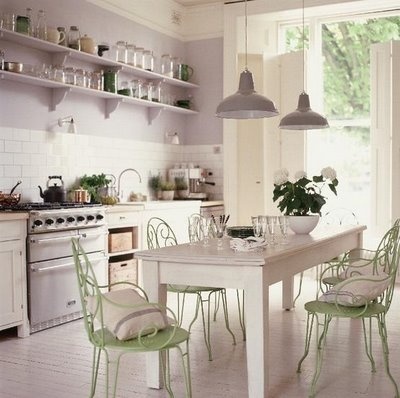 Use accent colors to bring small pops of bright colors into the space without going overboard with colors. Stay true to the home’s overall theme and still have a little fun in the kid’s room. Accenting the right pieces can be tricky, you want the accented pieces to be noticed, however, you don’t want eyes to linger on them. Start with a few accented pieces and then add or subtract from there. You can bring fun design pieces into the kid’s bedroom that both of you will like! Do you have an extra model sail boat, vintage chest or rustic dresser that needs a home? Well, there’s no reason to count out the kids’ bedrooms. 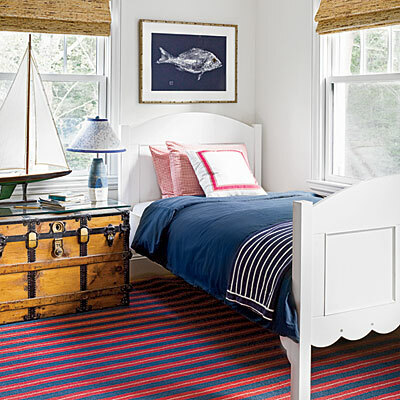 They will get a kick out of having something like a model sail boat in their room and you can finally display it instead of hiding it in the garage or attic. 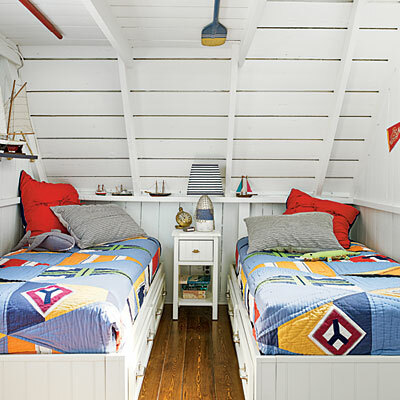 Speaking of model sail boats, they are the perfect addition and decor pieces for the kids’ bedrooms. Designers beware, you may want to avoid investing in antique or vintage model because they are more than likely going to be looked at as toys and not models. We all know where that leads – broken or ‘lost’. Not into bright colors? 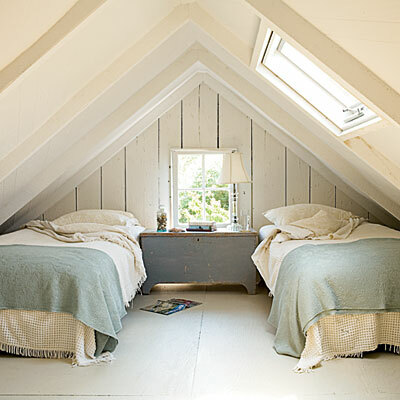 Here’s kids’ bedroom designed with soft, neutral colors. It’s simple, calm and inviting. 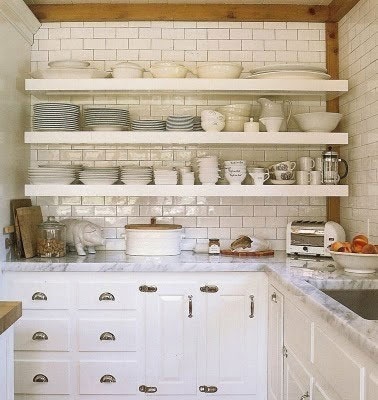 There’s nothing over the top about this space and there doesn’t need to be; sometimes less is more. We love a space that looks like it was put together effortlessly and this has just that look. Do you follow Tuvalu Home on Instagram? If you don’t you totally should! When you follow Tuvalu Home you’ll get beautiful coastal home decor shots like this one and more! Plus it’s a great way to stay up to date on what’s new in the store! What are you waiting for? Head over to the Tuvalu Home Instagram and follow now! Modern coastal decor is basically art. It turns a home into a piece of art that you can live in. The clean lines create a look unlike any other. Then you mix in a few coastal details and you have an absolute stunning style. Lost in modern coastal decor, this week’s Monday Pins post is exactly what we’ve been gushing about in the last few sentences. We’ve got five, modern coastal pins that should be all over your Pinterest boards, so get those pin buttons ready and start pinning! Also, don’t forget to enjoy your week. Find more modern coastal decor pins and more coastal style pins on the Tuvalu Home Pinterest. Spotted in Country Living magazine, the Palecek Harbor Wood Coffee Table! The coffee table has a brushed stainless steel top that has rivet detail along edge. It also features a base made out of recycled wood that has an ombre whitewash finish. It’s a great piece to add to a rustic beach style cottage! Get a closer look at the Palecek Harbor Wood Coffee Table on the Tuvalu Home online store! It’s Thursday and that means it’s time for another Thursday Tuva-Luv! This Tuva-Luv comes from Jaymi! One of her store favorites is the Pendleton Coral Chimayo Fringed Throw! The Chimayo design was inspired by the works of Hispanic weavers and gets it’s name from the village of Chimayo, just north of Santa Fe, New Mexico. Navajo and Spanish motifs are interwoven into the throw to create unique patterns. Finished with 4″ eyelash fringe at both ends, the lightweight wool fabric makes it ideal for dance or decorative use. The Pendleton Coral Chimayo Fringed Throw is 100% cotton and made in the USA. Shop the Pendleton Coral Chimayo Fringed Throw on the Tuvalu Home online store! Find even more Tuva-Luvs on the Tuvalu Home website! 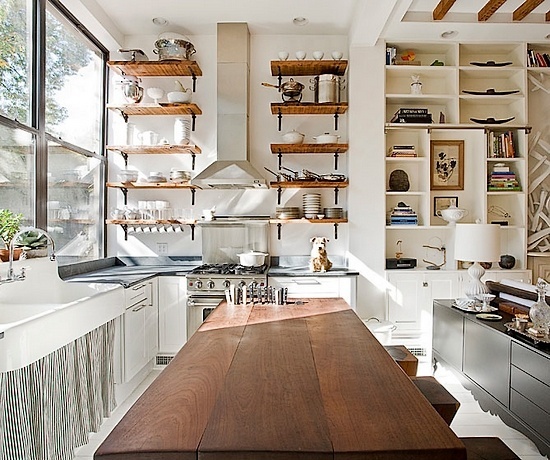 We’ve been seeing a lot open shelf/open storage kitchens lately and we love it! 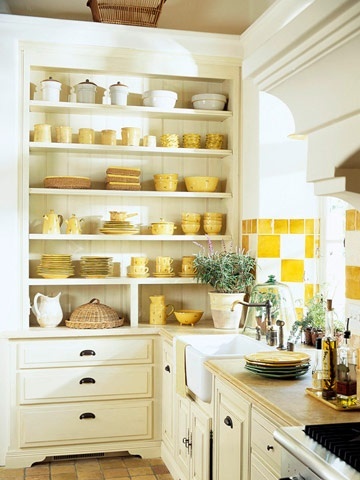 It’s another fun way like coastal kitchen hardware to bring style and character to your kitchen. It’s a pretty simple idea; stop hiding everything and show off what you’ve got! 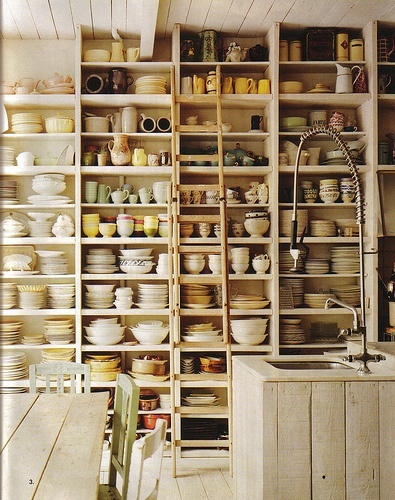 Let people see all your plates, cups, spices, utensils, cooking supplies, pots, pans and small appliances. We love it because it opens the kitchen right up. It gets rid of the closed off look and invites everyone right in. When people display their spices and baking essentials in mason jars or other glass jars it gives the kitchen a cute, homey look. Plus when they’re out, they’re begging to be used and make you want to cook and bake! With everything out for your family and guests to see there will be no more wondering where the mugs or a spatchula are. Also when you have no where to hide your dishes it will finally give you a good reason to go get that cute set you’ve been eyeing for awhile now! 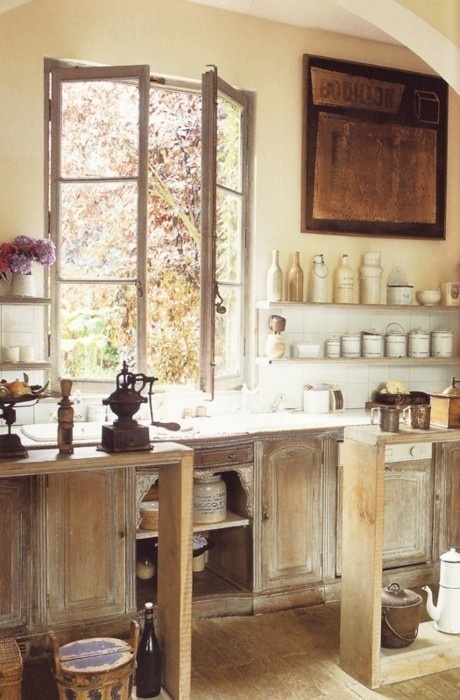 Stop hiding and open up your kitchen! Head over to out online store and shop the Tuvalu Home dinnerware!